(CBS) SACRAMENTO - A Sacramento man knew that when he left for work October 18 his car was parked legally in front of his house. 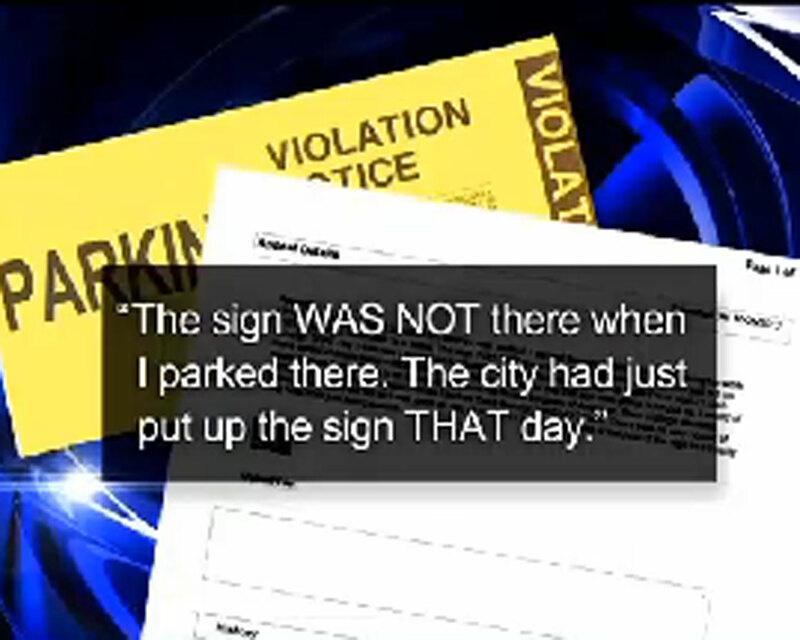 But when he got home, he found a parking ticket for $57.50...and some newly erected "No Parking" signs along his street. So how did he fight city hall? "You can see where they dug the ground up [for the signs]," surprised ticket recipient Casey Elston told CBS Sacramento. "It doesn't seem very fair at all." Certain of his innocence, Elston appealed his ticket to Sacramento County, writing, "The sign was not there when I parked there. The city had just put up the sign that day." The county dismissed his appeal without consideration, he said. "I just feel hustled, I really do," Elston said. "I feel like they just basically took my $57." Then CBS Sacramento did some digging and learned that indeed, the county installed the new signs sometime in the morning on Oct. 18 - when Casey Elston says he was already at work. Elston said no one was given notice the new "No Parking" signs were coming. So why did the county reject Elston's ticket appeal? "That just seems wrong to me," said consumer attorney Stuart Talley of Sacramento-based law firm Kershaw, Cutter and Ratinoff. The ticket issued by the county is unconstitutional, Talley told CBS Sacramento, explaining the county can't ticket drivers for something that was legal to do at the time they did it - ie, parking. In time, the county admitted the error of its ways. A spokesman blamed a mistake on the administration. "They should have waived that ticket," said Dan Regan of the county's transportation division. "They had an administrative oversight." The county said when a new sign goes in, they're supposed to give drivers at least 24 hours before ticketing anyone. Sacramento County agreed to refund Elston the $57.50 he paid for that ticket. Even so, he told CBS Sacramento he's looking to move, saying the new "No Parking" zones in front of his house have created a big headache.